There really is nothing like the bond between a college football program and the city they play in. The bond is so strong that it turns cities into parties or zoos, depending on the outcome of the game. If you have ever been to a big college football town, then you know what I am talking about. Check out these cities that are the biggest and best towns for college football. 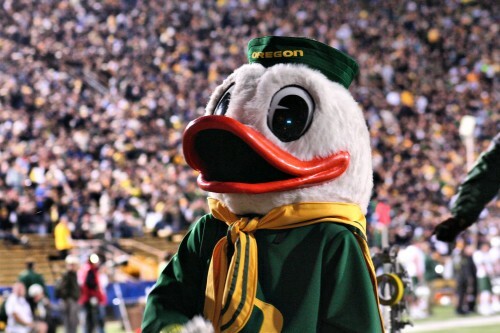 The Oregon Ducks call Eugene home. Not only does Nike reside in the city, but also the Ducks happen to always be one of the best teams in the NCAA. Last year, they went to the first National Championship game and put up a good fight against Ohio State Buckeyes. The streets in downtown Eugene are full of bars decorated in green and yellow and parades for the die-hard Ducks fans. Norman residents bleed crimson and cream and that is because it is home to the University of Oklahoma Sooners. 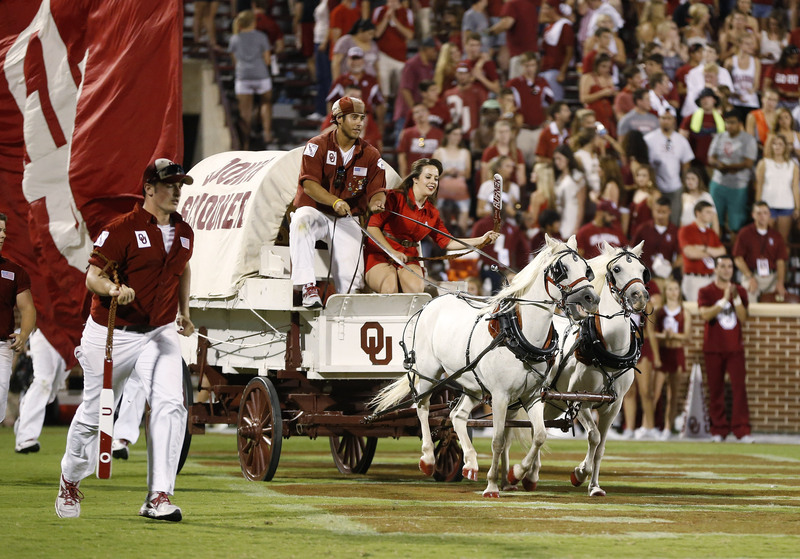 The Sooners are usually a dominating team, but fans are so dedicated that it doesn’t matter if they win are lose. The stadium is one of the loudest in the country and college football really brings the community together. The Fighting Irish might have some of the most dedicated fans of them all. 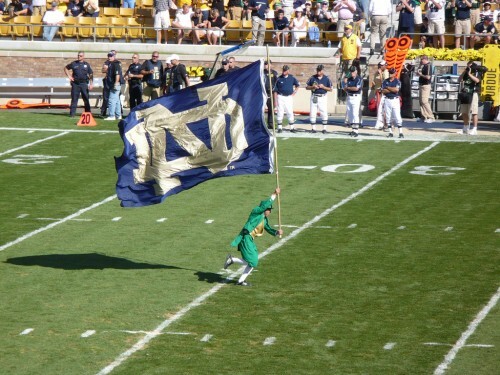 Notre Dame resides in South Bend and fans have been known to drive all over the country to watch their Fighting Irish play ball. Not only is their football team impressive, so is the school. It happens to be one of the best schools in the country and also one of the oldest. Since I did graduate from Arizona State University, I of course had to include them in this list. ASU is located in the heart of Tempe and the Sun Devils have had a pretty impressive last couple of years. The football team plays in one of the coolest stadiums in the country. The stadium is carved between two mountain buttes and sits in between. 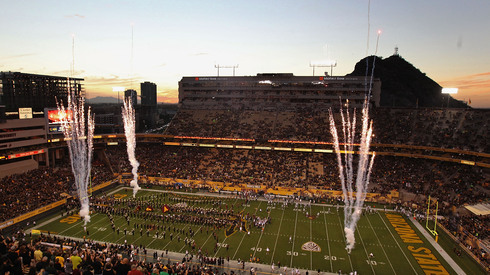 Sparky and the Sun Devils have always known how to party, especially when they win.